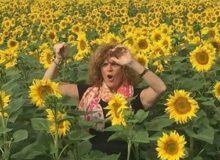 Welcome to the ‘MyFrenchLife™ Member Interview Series’ – interviews with savvy Francophiles from all around the world capturing their passion secrets and tips, all about their favourite places in France, from Paris to Provence. As you read these interviews you’ll become immersed in the individual member’s ‘French Life’. Learn why France is so special in their eyes & how they came to be so passionate about France. 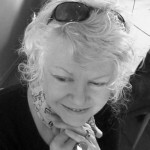 also you’ll personally benefit from the tips & discoveries these savvy Francophile frequent travellers generously share. My wife, Val, I were once expats in Switzerland, living and working in the French-speaking part of the country. It was near the Franco-Swiss border and we found ourselves taking more and more trips to France, slowly falling under its spell. Of course we had visited France before, including Paris on our honeymoon, but being able to pop over every few weeks made it part of our lives in a different way. After our expat assignment ended and we returned to California, we longed to be back in Europe. We missed that joie de vivre that we had seen in so many places and especially in France. It was like our life in Europe had been in color and now it was in black and white. We couldn’t find another expat gig and so we finally decided to invent our own. We quit our jobs (that was scary!) and became consultants in order to give ourselves the flexibility to travel and to work from a distance. Then, ten years ago, we began living part-time in France. 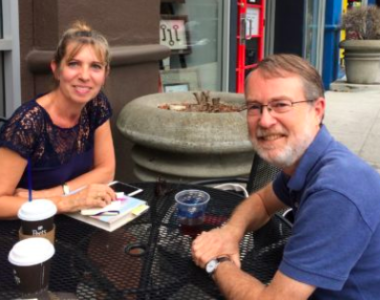 I didn’t speak French at the time and my wife didn’t speak much—what were we thinking? We are not city people and we enjoy warm weather so we settled on Provence, an area we had visited many times while in Switzerland. What a place: Food! Wine! Beautiful landscape! Joie de Vivre ! 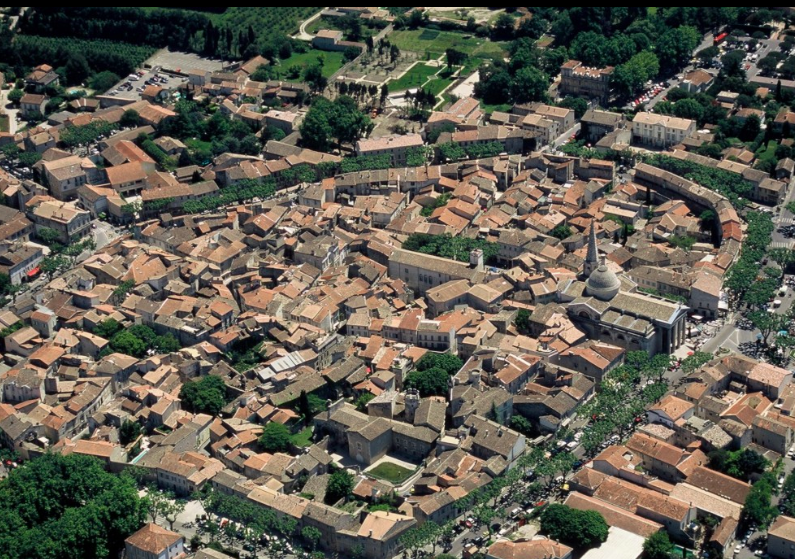 After spending time in different parts of Provence (it’s a big area) we have settled on the town of St-Rémy-de-Provence, a place that’s large enough to have plenty of things going on but small enough that we can walk from the center of town to the countryside in about ten minutes. Now we split our time between California and Provence and appreciate what each has to offer. My first visit was in 1979, on my way to spending a college term in England. It was an overnight stopover [in Paris] and I remember buying a ham and cheese crepe for breakfast from a street vendor on a freezing cold morning. I had never tasted anything so good! It’s hard to say how many times I’ve been to France but it’s certainly been dozens. I am very fortunate, indeed. Provence can be very touristy in the high summer season, but my wife and I are there in the spring and fall when it’s mostly just a quiet country region. 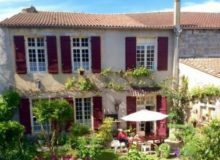 Provence is known for charming hilltop villages like Gordes and Rouissillon, delicious foods like bouillabaisse and aïoli, and fields full of brilliant lavender and sunflowers. watching gliders take off at the nearby aerodrome. And more than anything I love my French friends and sharing a meal or a glass of wine together—that’s the best part of France for me. Am I a different person when I’m there? 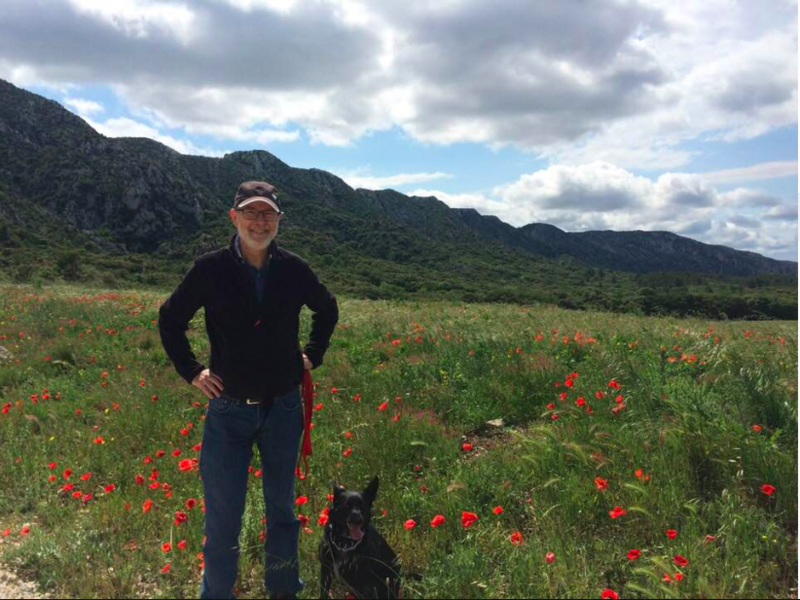 Life in Provence is slower paced than in California, a lot slower, and my wife and I relax more when we’re there. stress out in traffic jams. 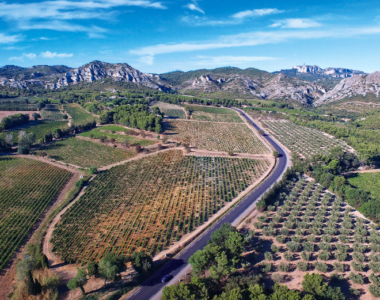 Provence moves at the pace of the seasons rather than the speed of the Internet and every time we arrive and see all the vineyards and olive groves, we feel the tension seep out of our bodies. When we’re in Provence, we live French lives. Slowing down and spending hours around the dinner table or over a glass of wine is natural. We appreciate the balance in French life and the emphasis on the pleasures of small things. It strikes us how often we find ourselves talking with our friends about serious matters, subjects close to our hearts. Maybe slowing down allows them to make their way to the surface. We rent houses when we stay in St-Rémy and enjoy being close to the center so we can drop into town for a cup of coffee or a glass of wine. 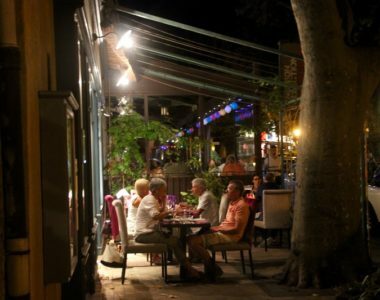 Here are three of my favorite restaurants in Saint-Rémy-de-Provence. Also I’ve written an article which will give you some more choices. 1. Brasserie les Variétés is one of those restaurants where everything is good. It’s conveniently located on the ring road, near the tourist office, and has a charming outdoor terrace and cozy indoor dining room. The menu is full of local favorites like soupe de poisson (Provençal fish soup) and warm goat cheese salad as well as a wide selection of reasonably priced wines. Want to pick your own dessert? 2. 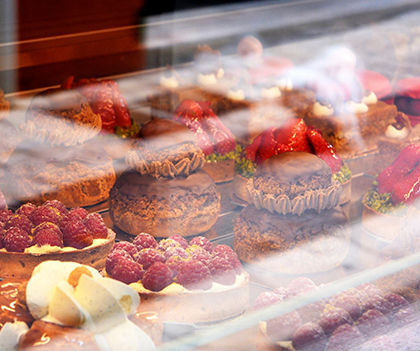 Try L’Aile ou la Cuisse near the heart of old St-Rémy. The dining room is comfortable and the shady patio in back is an oasis of green in the center of town. 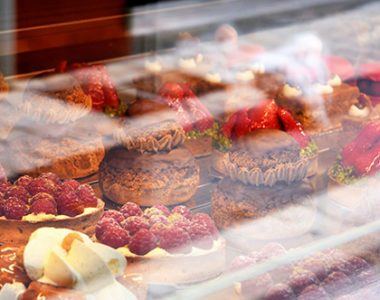 The food is always good and the best part is dessert—your server will lead you up to a big display case and let you choose your favorite. It’s like Christmas every day! 3. 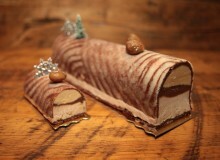 Ô Caprices de Mathias, on the edge of town, can be hard to find but it’s worth the effort. Chef Mathias’ cooking is so good that he’s earned the rare distinction of Master Restauranteur. The daily lunch special is a terrific value: three courses plus wine and coffee for 25 euros. If you dine on the terrace, you can look out on green fields and the Alpilles mountains—the view alone is worth the price of admission. The road between St-Rémy and Les Baux-de-Provence goes up and over the Alpilles Mountains. 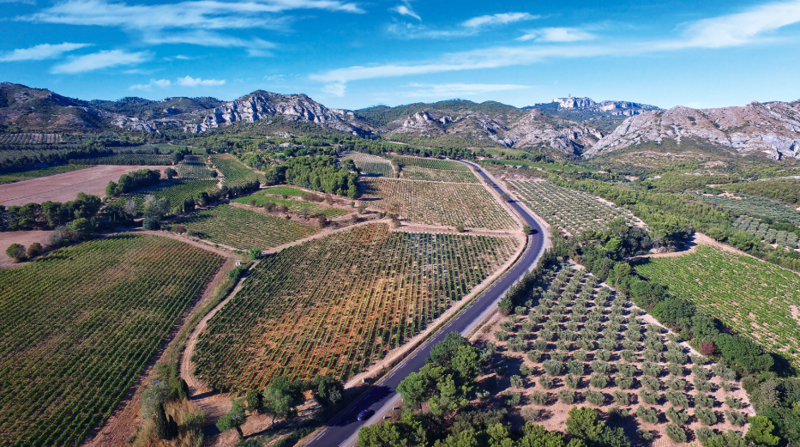 At the top is a large parking lot from which begins a paved path that takes you to La Caume, the highest point in the Alpilles. It’s not a difficult walk and the views are spectacular. There are also hiking trails that periodically branch off the paved path, any of which will reward you with different, but still spectacular, views. That would definitely be my first scarf, my first step to trying to become French. You can’t look French without a scarf, even if you’re a guy like me. Near St-Rémy is the village of Eygalières and it has a weekly market where we sometimes go shopping. There are a couple of fruit and vegetable stands, a fish guy, two olive sellers, a lady selling spices and another selling honey, a chicken roasting stand, a cheese monger, a butcher, and all the other vendors you’d expect to see at an outdoor market. Plus it has something you only find in France: the Scarf Man. I bought my first scarf from the Scarf Man and still have it, along with all the others I’ve bought from him. I love going to the Scarf Man because he has such a wide selection. He has delicate chiffon and heavy wool. He has cotton, he has linen, he has silk. There are scarves for women, for men, for kids, in all the colors of the rainbow. And there are new models every year, to keep the inventory up to date. I’ve seen him so many times that I’ve started thinking of him as my personal Scarf Man. When we were learning French, we had great success with language partners—people trying to learn English. We would get together regularly and speak English for a while and then switch to French. This really helped us both improve. We met one of our partners, Sophie, through the local tourist office. We had had a few meetings at a local café and then she invited us to have the next one in her home one morning. 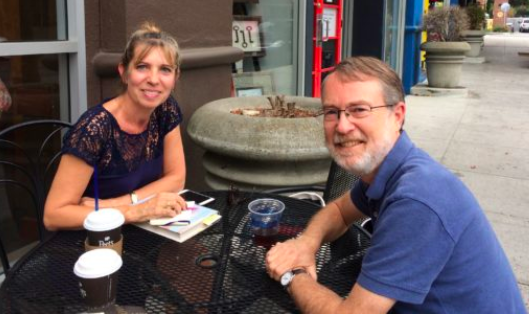 Partway through our meeting, Sophie’s husband Jacques came home from running errands and introduced himself. When the bottle was drained, Sophie invited us to join them for a lunch of pasta with her homemade tomato sauce, while Jacques raided the cave for a well-aged bottle of Chateauneuf-du-Pape. We ate on the terrace, warmed by the early spring sun. Next came a platter of five cheeses—so very French. When we finished, it was time for coffee and more chocolate, and the next thing we knew it was late afternoon. We waddled home with yet another bottle of wine that Jacques had presented to us as a gift. It was one of the most memorable days of my life and the beginning of a beautiful friendship. My best advice for visiting Provence is to take your time and not rush around. Wander through the cobblestone streets of an old town center. Have a cup of coffee or a glass of wine and watch the world go by. Provence, like the best things in life, can’t be rushed. Thank you Keith, I found it fascinating to find out more about your Provencal life. You are, I’m sure, an inspiration to many other members. What is your ‘French life’ dream? 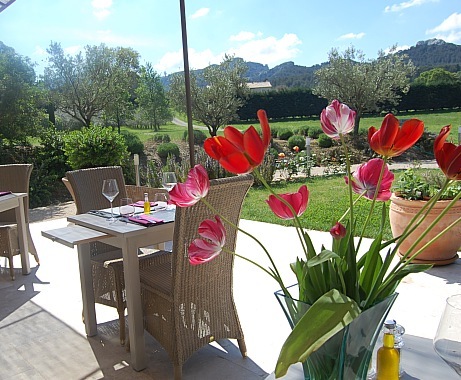 Have you spent time in Provence? Do you have any tips to add to Keith’s? Please join the conversation in the comments section below. You can read more from Keith here and on his own site KeithVanSickle.com. What a dream life! 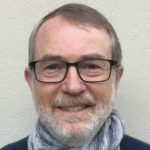 I am curious whether it is difficult generally to make friends in France and some tips for doing so should one go as a single person. Yes, Provence is a wonderful place! I hope your next trip is soon and good luck with your French learning. and thank you for your fascinating story about the realisation of your dream. Like you, my wife Catherine and I love Provence and the wonderful atmosphere which seems almost tangible. 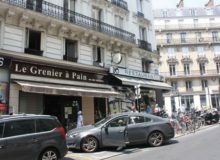 The pavement cafes, the wine and the ambiance in the markets plus the friendliness of the people gives one the glorious feeling, as you say, of joir de vivre so it is worth the effort to get there. I have also started to learn French as this is the best way to “break the ice” so we are looking forward to our next trip. Thank you for sharing about this special place where when you’re there just ‘to be’ is enough…. As we both know, Provence is special indeed! Thanks for the great article. 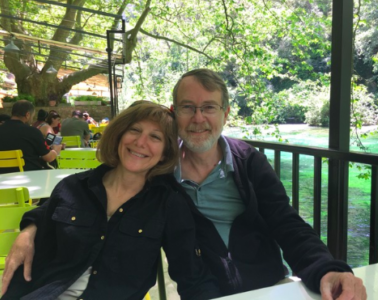 My husband and I spent a month in Lourmarin last June and just adored the pace of life in the village. 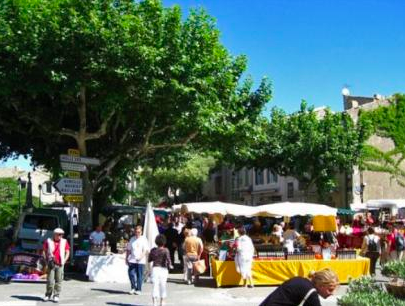 We too are longing to make another trip and we might try a month in St-Rémy-de-Provence – it sounds so beautiful. We will definitely head to the markets – my husband would love to meet your scarf man! 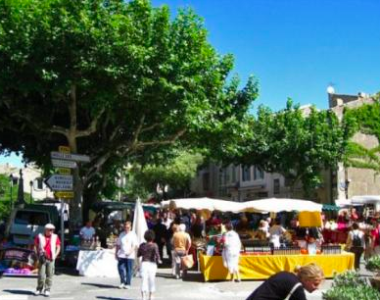 Lucky you to spend a month in Lourmarin, it is such a lovely town. You’ll also enjoy St-Rémy if you stay here. It has a wonderful market and we just went this morning–the strawberries are gorgeous! 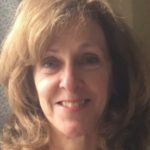 Really enjoyed this article, especially as I have just started a 6month career break after 30 years in my home town of London. I will spend it on Ile de Re, Charente Maritime, where I am trying to learn french and finding I just have to stop worrying about making mistake if I am to make more freinds. The french are only to happy to help, if you try. Thanks again for the inspiration -Lorna.